Sean and Nicole are the cutest home brewers I’ve ever met! Nicole and Sean met in college through a mutual friend at UC Davis. He was visiting his friend at school (where she went). They instantly connected as friends and would spend a lot of time together but started spending more date-like time, exploring new restaurants and cities around the bay area, playing sports and doing lots of outdoor stuff together, going dancing, brew tasting, etc. 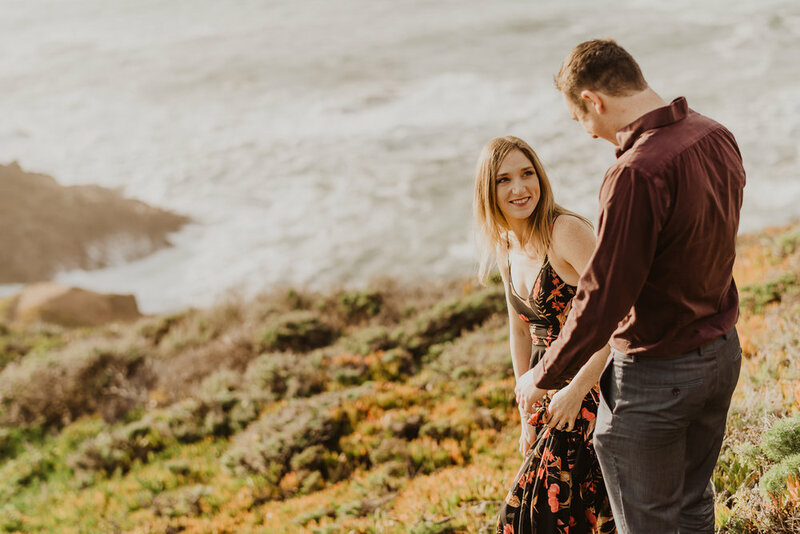 Nicole is an avid runner and Sean would join her to go on runs, as she learned later, just to spend more time with her ( even though he hated running!). After 3 years of friendship, he asked Nicole to be his girlfriend on March 16, 2014, and she knew then he was the one! Saturday Sean and Nicole met me in Big Sur for their engagement session, I brought some local beer ( Alvarado and Descretion ) and a playlist with a lot of Micheal Jackson and Queen. 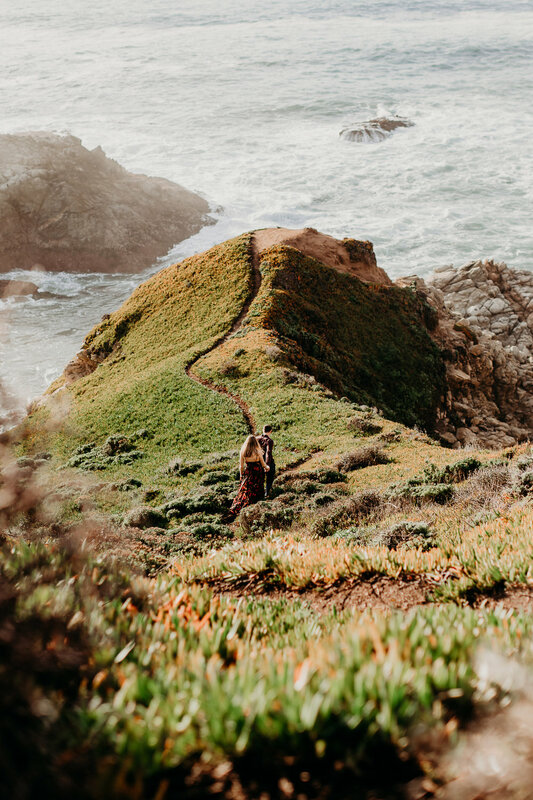 We adventured all over the coast and found some fun new spots to shoot. Nicole and Sean ran on the beach, and in the lilies and up a cliff and I was the only one out of breath. I can’t wait for their wedding in September! Today I am excited to be hiking in Big Sur with some friends just for fun! I love finding new spots just to sit and enjoy. I’ll be bringing my favorite type of canned sangria, my camera, a large bag of queso chips and a big coat because the afternoon’s have been SO chilly here lately. While shooting this fun engagement session at the beach I could barley feel my fingers clicking the shutter. Meghan and Micheal were such troopers they jumped in the freezing cold water and stood on rocks with wind ripping through their hair without complaining once. Meghan and Micheal are highschool sweet hearts and are getting married later this year in LA. I was so happy to be a part of their engagement photos! 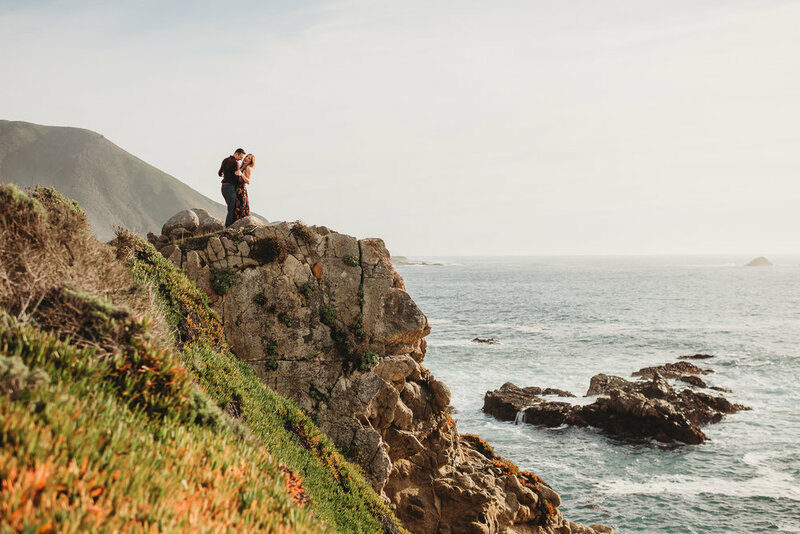 I will be shooting another wedding later this year at Big Sur Bakery and I cant wait to shoot their couples images at this beach.